A Green Mushroom: Final Fantasy XIV: Everything to 15... and Beyond! 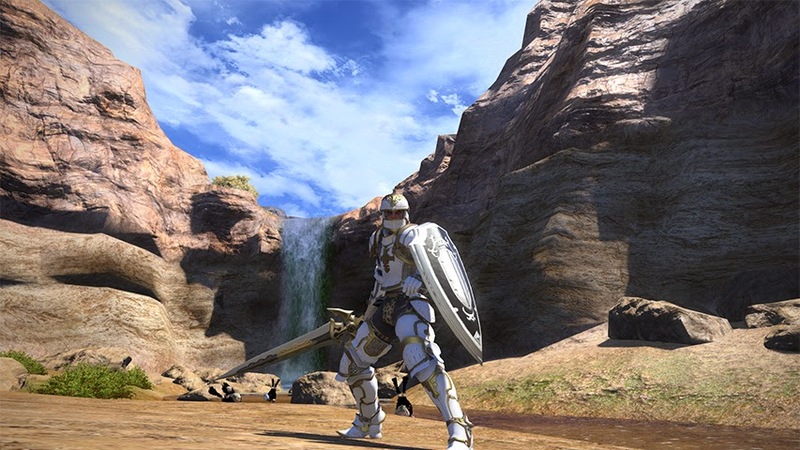 Final Fantasy XIV: Everything to 15... and Beyond! I leveled all the classes in Final Fantasy XIV to 15 or higher! My Bard is still my main class at level 50 and pretty well geared, but I wanted to branch out. The run from 1-15 gets a little grindy in the 10-15 range so I buckled down and just got it done for all the classes. The best part about hitting 15 is getting access to the dungeon finder. As soon as a class hit level 15 I started taking it through low level dungeon finder and getting a feel for it. I've found I'm really enjoying tanking and healing. A big part of this might be the super fast queue times. They're amazing! When I was leveling my main Bard class it would take 30-45 minutes to queue for a dungeon since I was DPS. When playing a healer or tank it has never taken more than 5 minutes in the dungeon queue. It's great! As soon as I want to run a dungeon... I just do. Out of all the remaining classes I latched onto Gladiator and Conjurer. These are the two classes that lead to the Paladin and White Mage jobs. I'm having so much fun with them in dungeons that I almost didn't realize how much they were leveling up. I got both of them to 30 and got their advanced jobs already. I actually have my White Mage in the low 40s, with endgame level 50 in sight. It's going to be awesome to have a couple different classes with different roles at endgame. It'll give me options to play around with, and I'm really excited for it. I'm thinking of maybe trying to get one class for each role up to level 50 before the expansion hits. The main takeaway for me has been that I'm still having fun with Final Fantasy XIV, and that's what matters. I've done the same thing -- everything's 15. I just finished getting Bard to 50 this past weekend, so now I'm working on the tank classes again. 37 PLD and 36 WAR now. And for grins I also started working the Lancer, so it's 17 as of this morning. I still tend to queue as DPS with my Black Mage for the high level dungeons so I can get Soldiery and Poetics, but it is nice to queue low-level as a tank or healer, that's for sure. On the other hand, I actually had an instant-pop for a Main Scenario roulette on my BLM last week. Surprised me. Wow, insta-queues are super rare as a DPS. That's great! Yeah, since I'm sure that the new areas won't need poetics/coil gear to work through the main story and level up, and also ilvl 150 is supposedly going to be the new standard gear from questing at level 60, I'm not really worried about capping gear right now. I'm perfectly happy to "keep rolling up alts" as it were.